Crowns,bridges,veneers,inlays & onlays are concerned with restoring teeth using restorations that are fixed into the patient's mouth. They are typically made in a laboratory after taking impressions (moulds) for the technician to work with. They are also known as 'indirect restorations' & Fixed prosthodontics. Crowns are often referred to as 'caps'. They cover the remaining parts of the natural tooth when a large amount of structure has been lost. Crowns can be constructed from many different materials, ranging from an all-metal gold crown, through to a high strength ceramic crown. The type of crown depends on the amount of tooth left, the tooth type and the patient preference. As a last resort to saving a tooth we can use a post crown. When a tooth is very broken down the only way to support a crown is to introduce a post into the root. The post helps support the crown. The post stays with-in the root of the tooth. Every treatment has it's limitations. Post crowns often de-bond and require re-cementing. On average they may come loose approximately twice a year and they need to be replaced about every Five years. 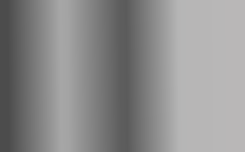 They are not recommended for lone standing teeth at the front of the mouth, or to support large span bridges. 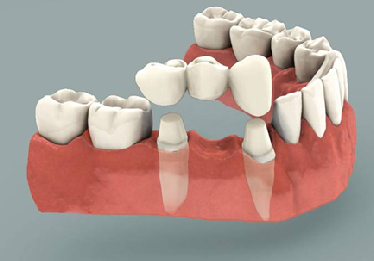 Bridges are made to restore gaps between teeth. A prosthetic tooth can be held in place by a crowned adjacent tooth, or it be glued onto the adjacent tooth by a metal wing, using medical adhesive. Sometimes bridges are held in place on either side of the gap (conventional), sometimes on just one side (cantilever); it depends on the size of the gap and how the teeth function. Bridges can look very good, but sometimes the bridges that are stuck on with a metal wing darken the adjacent tooth a little. They are, however, much more conservative of tooth structure than if the adjacent tooth is crowned in order to hold the bridge. 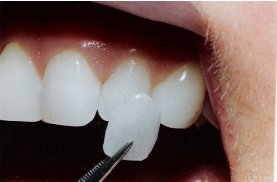 An alternative to a large filling is the inlay. The inlay can be made from metals, resins or ceramics. It is mad eby a dental technician, from a dental impression of the cavity in the tooth. The cast inlay is then cemented into the tooth. 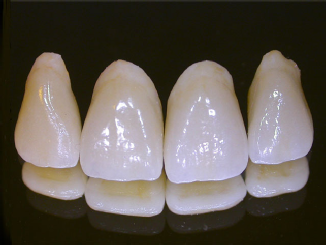 Inlays have greater strength compared to fillings. An onlay is similar to an inlay, but it often covers over the cusps of a tooth. They are particularly useful if the tooth needs to be strengthened or reinforced. They can also be used to make the tooth longer/higher, which is useful if a worn dentition is being built back up again. They are generally preferable to inlays. Veneers are a thin piece of ceramic or resin that is glued onto the surface of a tooth. They act like false finger nails. They change the colour and shape of teeth. They can be used to restore damaged teeth, rotated teeth, or to improve aesthetics. Usually an amount of tooth preparation is required for the veneer to 'sit into' but modern techniques allow veneers to be made that stick straight onto the tooth surface. Veneers may de-bond or fracture throughout it’s life. It is recommended that patients use night guards when veneers are used for cosmetic make-overs. The night guards maintain the position of the teeth and protect the veneers from being damaged by night time jaw grinding.